How to Keep Your Keys Organized? Let’s be honest, none of us like those bulky key rings that have all the keys stuffed on them, as first of all it’s pretty irritating to keep those key rings in your pocket, secondly it becomes a mission impossible if you have to find a key to open any door and thirdly, it just doesn’t look nice if you hold it in your hand. It is but very obvious that none of you would want to get pissed off early in the morning just because we are unable to find our car keys. Losing the keys, misplacing them and not being able to find a key from the messy key ring is something that happens in every house, almost every single day and sometimes things get worse, and we even start shouting and yelling at each other. So, if you are someone who often forgets his keys or loses them early in the morning, then you are at the right place, reading the correct article. Today we are going to jot down a few smart ways that can help you organize your keys. So, folks take notes of what we are about to tell you because this article can be very useful for you in the long run. You cannot just survive on those silver key rings all the time. The matter of fact is that you do need a key holder for your house. This is so far the best way to organize your keys, you don’t have to create any mess, and you can easily hang the keys on the holder. It’s always better to have a wooden key holder because that always goes fine with all the paint colors of the walls. 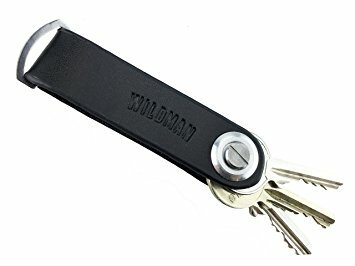 Also, do keep in mind that if you are going to buy a key holder then place it on the wall where you can easily see and reach it i.e you can put it all the wall where your entrance door is, this way when you enter the house, you’ll know that you have to put your house and car keys in the holder. If you want to name your keys but want it to be a secret, then you can use the washi tapes on your keys. Washi tapes are available in different patterns and colors so yes, this can be fun to code the keys, and the best part is that no one will know which key is to which door, it’s just you who will know the secret code. Also, if washi tape is not available, then you can use nail paints for the coding. If you are someone ready to spend a few bucks on quality and useful product then honestly you need to get yourself some keycaps. Keycaps can help you easily identify the key you want. You see even if you have a habit to keep the keys in a key ring then it’s not at all a problem because you can always cap them up so that you can find your desired key whenever you want to. These are a few ways that can come handy to you for organizing your keys. Follow the tips as mentioned above, and we assure you that next time you won’t have to yell or shout to find your keys.